Homer is at the end of the road on the Kenai Peninsula south of Anchorage. 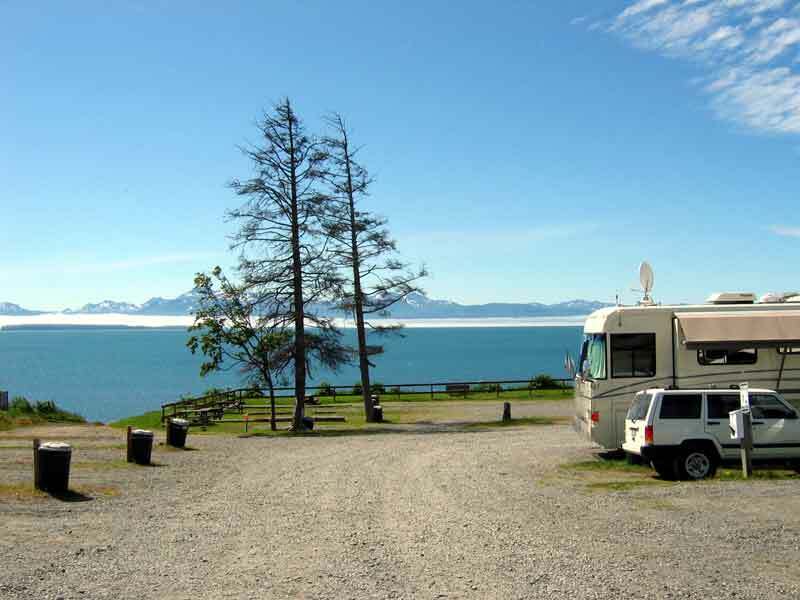 It overlooks Kachemak Bay where Cook Inlet meets the Gulf of Alaska. The Homer Spit is the reason that Homer exists. 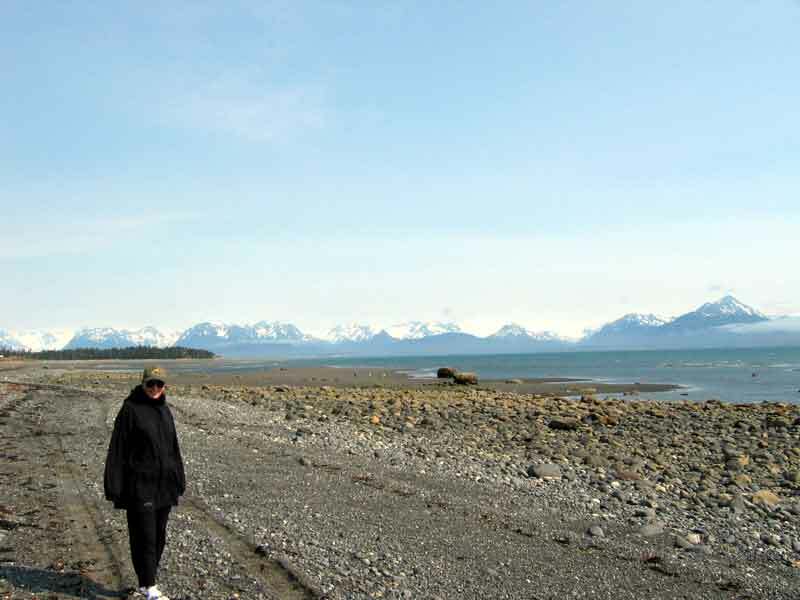 It is a natural jetty that extends some four miles out into Kachemak Bay and was the site of the original town of Homer that was established there in 1898. Today it is the site of the small boat harbor that houses about 800 commercial and private boats. It also has many types of businesses that support the fishing and tourism activities, from lodging to fish processing. It is also the home of the local Coast Guard vessels and the ferry terminal. A note for fellow RVers ... The new Heritage RV Park has been opened and is a high end park with full hookups and even phone at every site. Water front sites go for $50/day. 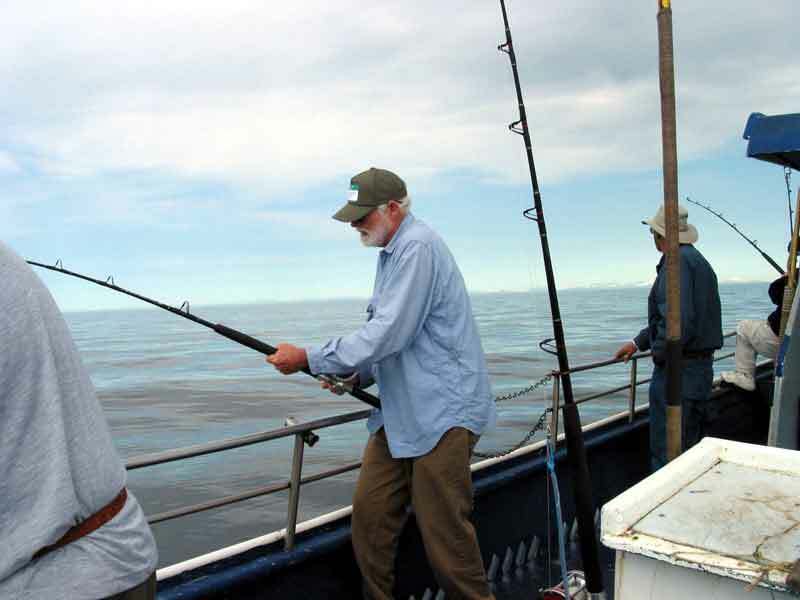 Homer, and the route to get to it, are the sport fishing capital of Alaska. This time of year the halibut are plentiful and several types of salmon are running in the rivers. Therefore there are lots of fishers in town, especially on the weekends. 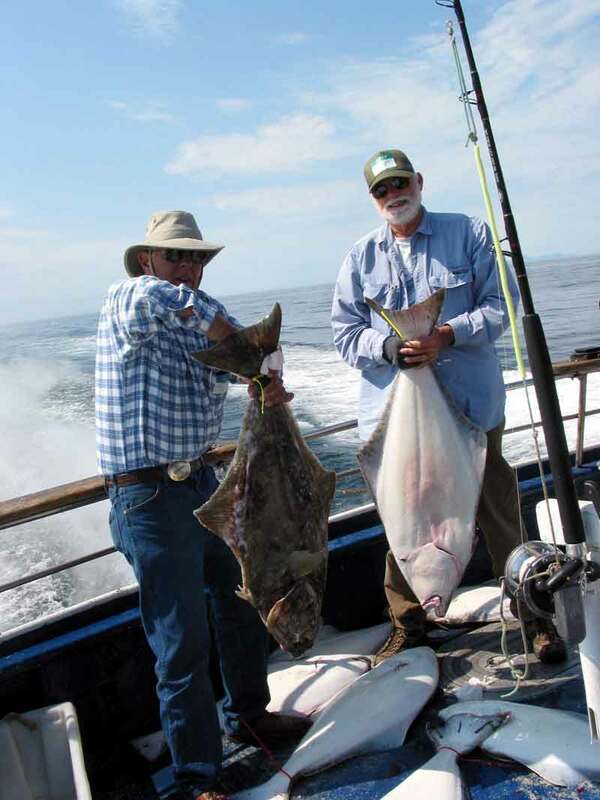 Ted and Jim went fishing for halibut on a charter boat. Each fisher is allowed to keep two halibut and everyone on the boat had their limit in about three hours of fishing. 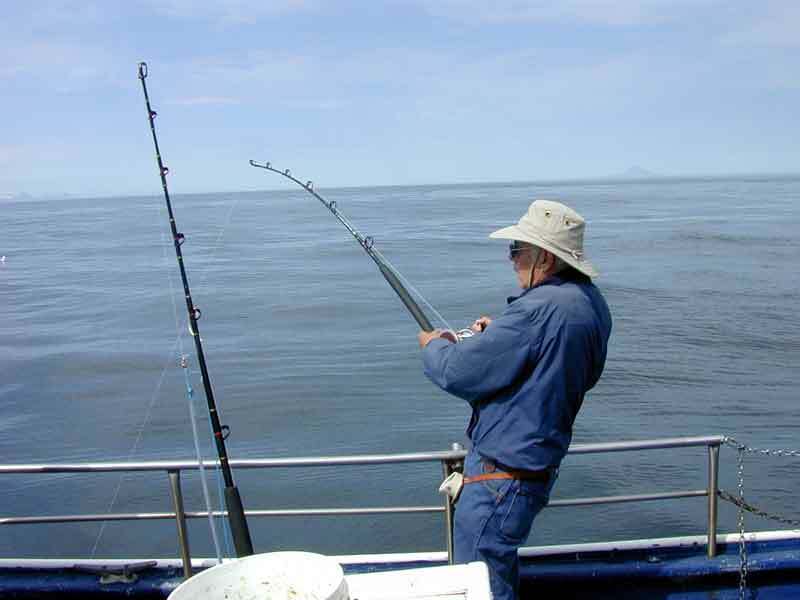 We were fishing in 350 feet of water and you got a bite as soon as the bait hit the bottom. Reeled in many more fish than we kept, since we only took the bigger ones home with us. The two of us ended up with over fifty pounds of filet to have vacuum packed and frozen. Going to be good eating for the rest of the summer, eh? During one of our driving tours of the area we went to Nikolaevsk, a small village of Russian origin. Some of the inhabitants still dress in the old style. 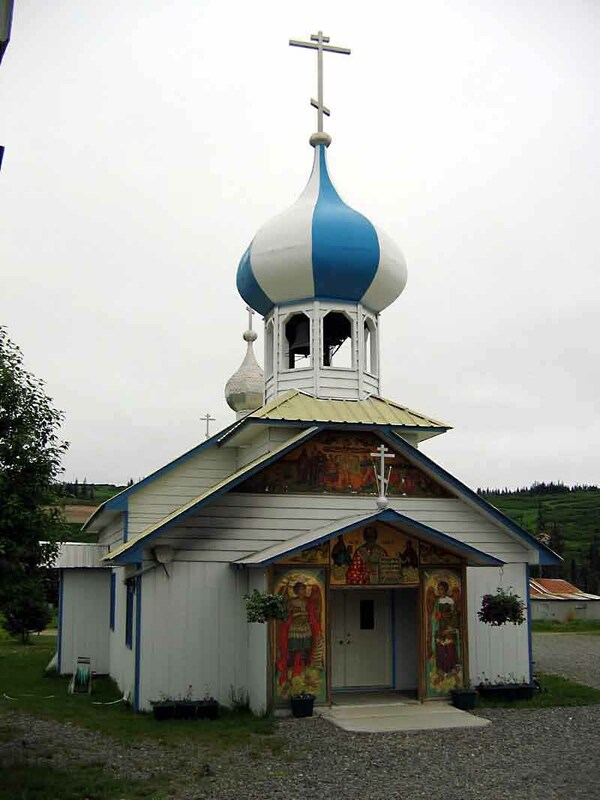 There is a very well maintained "Russian Old Believer" church that is still in use today.